Welcome to the Pilgrims Way Challenge registration form, which can be used to register up to 4 people at a time. All participants must be at least 16 years old on 22nd June 2019. 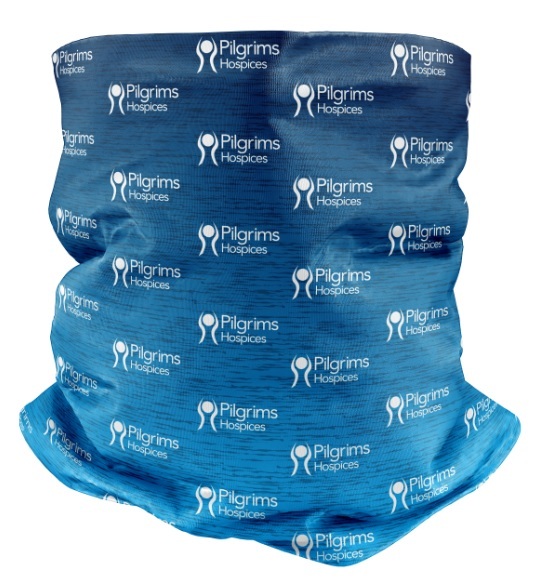 The Pilgrims Hospice Neck Warmer is a multifunctional accessory suitable for all conditions and purposes. Benefitting from Hot & Cold technology, our Neck Warmers are designed to keep you warm when it’s cold, and to wick moisture away when it’s hot with our exclusive Qwick-Dri™ technology. What’s more, the lightweight nature of the fabric ensures it’s comfortable to wear for prolonged period of time. Please indicate the number of Pilgrims neck scarves you would like to add to your registration. If you purchase one or more Pilgrims neck scarves, these will be available to pick up on the day from the registration area. Would you like to add a £1 donation towards to upkeep of the North Downs Way National Trail? The Pilgrims Way Challenge uses sections of the North Downs Way National Trail, managed and maintained by The Kent Downs Area of Outstanding Natural Beauty Unit. All donations to the Kent Downs AONB Unit will be forwarded after the event.